The Gillette Mach3 system is one of the most frequently used shaving systems in the world. Three progressively spaced blades guarantee a comfortable and close shave. 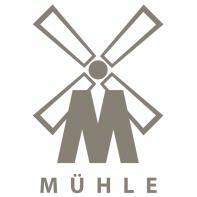 Wet shave razors from MUHLE are compatible with the systems Gillette Mach3 and Mach3 Turbo. Light weight Gillette Mach3 compatible travel razor. This is a high quality razor in its own right, it just happens to be the perfect size for travelling with. It is compatible with Gillette Mach3 cartridge blades.